[Image: What is it? To find out, you'll have to visit gravestmor]. Well, I'm taking one anyway! I'll go look for the answer afterwards. 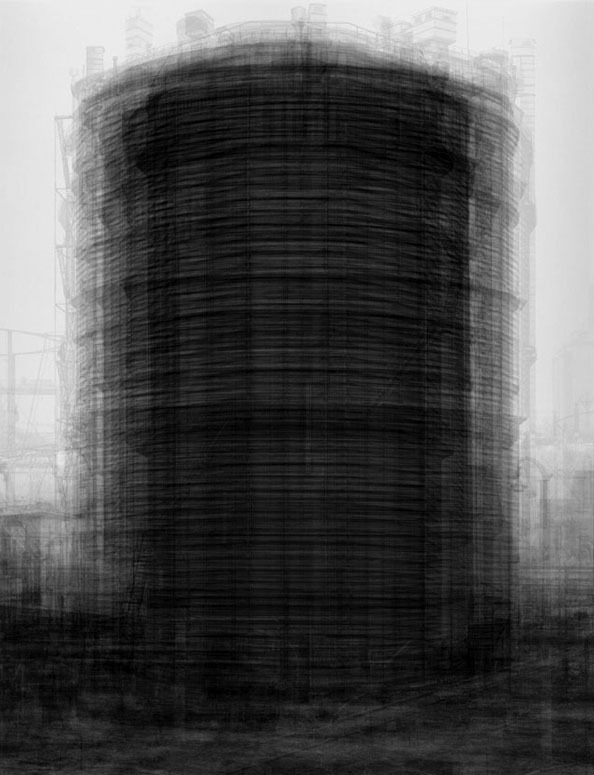 It looks like an averaged photo of a gasometer. A multiple superimposition of something Bend and Hilla Becher would have photographed.